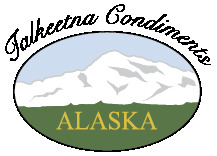 Talkeetna Condiments specializes in gourmet Alaskan condiments to compliment seafood, meat, and wild game. Whether youre looking to enhance the flavor of any meat or seafood, our seasonings, sauces, and marinades are a great alternative to run-of-the-mill store-shelf condiments. In addition to our currently featured condiments for Alaskan seafood and game, were also continually adding new unique Alaskan condiments to our product line... such as jellies, sauces, mustards, and dips made with berries that are native to Alaska. Only the best ingredients available are used for producing our condiments. All of our products are produced according to strict food safety standards and undergo extensive sampling, testing and documentation. In addition to required testing and inspections for state and FDA approval, our product production is also inspected by the independent AIB International. As such, these foods also have HACCP food safety certification. Talkeetna Condiments foods are processed utilizing an in--house laboratory for microbiological testing to determine both shelf-life and absence of allergen. If you are either a wholesaler, food service owner, or retailer, we feel our condiments will become a lucrative addition to your inventory. However, if youre a consumer seeking a quality condiment unique to Alaskan foods, then we hope you will visit our online retail store and try one of our fine products. you wont be disappointed! Thank you for visiting our site and we hope you check back from time to time for new additions to our product line.